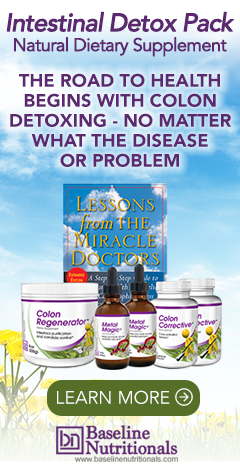 If you want to do a liver detox, then you should do a colon detox in advance -- or you will be trying to dump toxins out of your body into a clogged pipe (your colon) and cause the toxins to reabsorb back into the body....not good. Over a year ago, I did Medical Medium's 28-Day Cleanse. I only got half way thru when I got really sick. My symptoms became worse (I think I over-did the Chaga tea), and have continued that way ever since (some days worse than others). For a long time, I thought this must be the Herxheimer Reaction. But now, after a year, I'm beginning to wonder what the hell is really going on. I seem to have become extremely sensitive to just about everything-even slightly bad air quality, paint fumes, slight physical stress, slight emotional stress-all of which cause tingling, dizziness, pain, seizure like feelings throughout the body. I went thru larger than normal doses radiation and chemo over nine years ago, and I know I'm experiencing long-term side effects from that... Still, I feel I should be healing as I eat an extremely healthy, 95% plant-based, fat free diet, and have been for quite some time. At the moment I'm completely fat free because any amount of fat causes a flare-up of symptoms. Is it possible the chemo/radiation side effects are still getting worse? After all, they didn't arise until 8 years after treatment. I've researched extensively, and cannot find any sound explanations for what's wrong with me. I'm not interested in going to any medical professionals, because what can they suggest besides what I'm already doing? After the cancer treatment, I'm done with getting poked by needles, not to mention MRIs, xrays, etc. Nor do I take any prescription medications because they all have toxic effects on me. Any suggestions would be most appreciated. Thanks! Thanks for writing in. Of course, for obvious legal reasons, we can not diagnose or prescribe. It looks like you found us in our Detox Program. Have you read through our full body detox? Each one describes how they work, with articles and videos. See top left-hand corner links. Hi, I did a detox fast for 7 days. My intention was to get rid of allergies since it seemed to become just more and more on what I am reacting. It was my first detox fast and I got the most information through websites. I drank lots of water tea and every evening I had a broth. After the first day it did not feel like everything is out of the bowel so I drank warm lemon water, which helped but I still wasn't sure if everything is out. But I simply went on because it was over the Christmas holiday and I had to work from 7.1.again. Nearly every day I had an enema. On my last evening I probably ate broth which wasn't good anymore. The next day I felt awful, everything was cringing in me and I didn't know how to move. I started eating again with honeymelon(no apple because I always had allergic reactions in my mouth) which helped so over the day I really felt better. I ate the other quarter of the melon as lunch and as dinner a selfmade tomato soup. The next day I ate the same amount and then slowly ate more the following days. I didn't feel super strong, but alright. On the fifth day after the fast I started working. Everything seemed okay and I was going on with eating slowly and drinking heaps. Because of the allergies I wanted to do a Search Diet and just ate fruits, vegetables, rice, potatoes and I added peanuts out of energy reasons and linseeds for the bowel movement. And then there was a birthday cake piece just meant for me and just this one moment I wasn't strong and not thinking too much. I ate the whole piece which was delicious but by eating it got conscious to me that it'll include flour which I would have started 4 days later with as well as milk products which should be the last to try. Since then I felt very weak and all those symptoms chills, fever, low blood pressure, headache, and muscle pain appeared the next day and it is lasting now for 3 days and it seems not to get better. Is it a healing crisis at all? Because I actually already have stopped the detox. How long this could last? Since yesterday I eat eggs again to get some iron and I don't really care about the allergies anymore now because I would like to become just healthy again. I am thankful for any thoughts. Our liver detox, the only one with any form of fasting, follows a very strict protocol. We are not sure what detox you did, but sounds like you didn't have the proper herbal support to help your body heal while detoxing. Check out our protocol for more information (see top navigation links on the left-hand side). I came here because I started taking CBD oil for my anxiety and depression a month ago. Little did I know it has anti-toxic properties. The first week of taking CBD oil I felt great! I had energy, no panick attacks my neck and shoulder pain was gone. The second week I was feeling really depressed. Going into the third week is when I was feeling all the symptoms of my depression, fatigue, I was lathargic, my neck and shoulder tension came back, headache, as well I felt horrible. The worst was the sudden hits of vertigo to the point of vomiting. I learned to take less drops while I going through this faze, but going into the fourth week, I'm back in action!